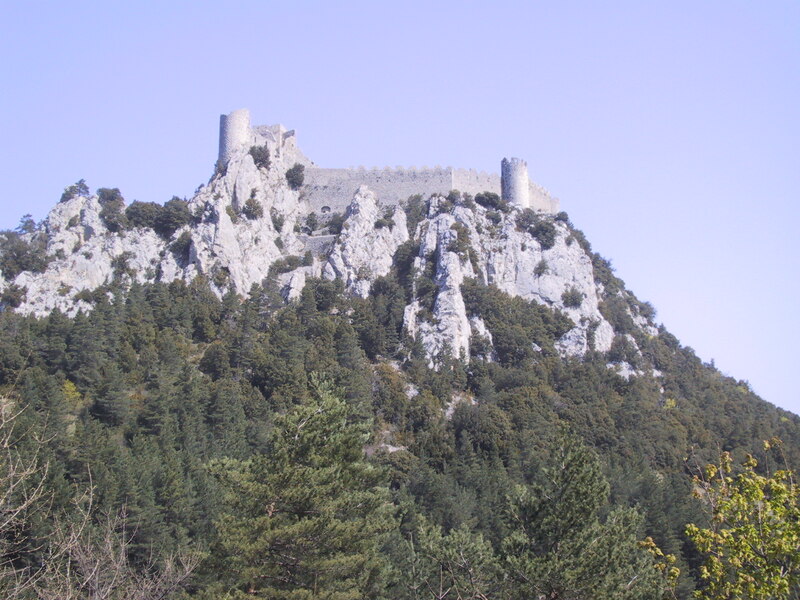 One of the “five sons of Carcassonne”, Puilaurens stands on an outcrop of rocks not far from the gorges of the Pierre-Lys. The only access is by a zigzag path up a narrow natural corridor. The keep at the Western end overlooks the path up to a large gateway. 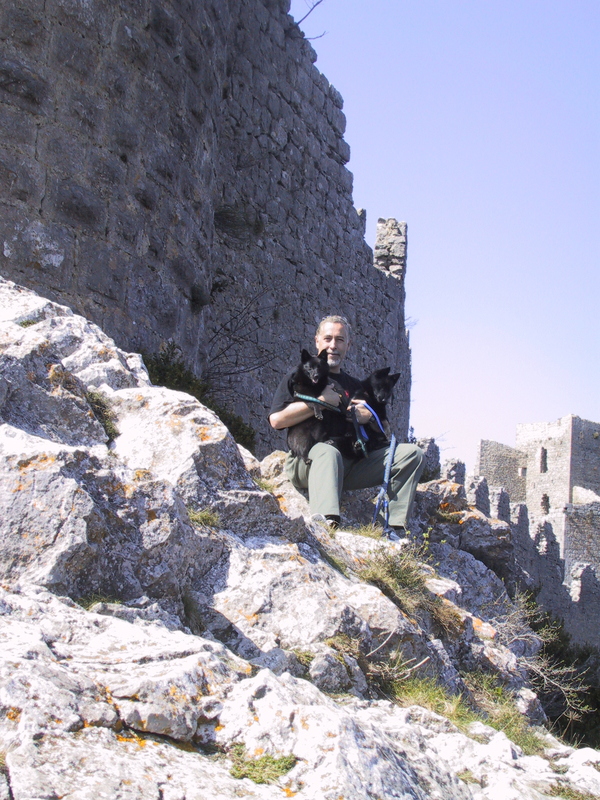 The walls follow the irregular shape of the rock and you can climb up to the battlements at one point, to look out across the valley to the surrounding mountains. The site was originally built by the Visigoths around the time of the fall of the Roman Empire. 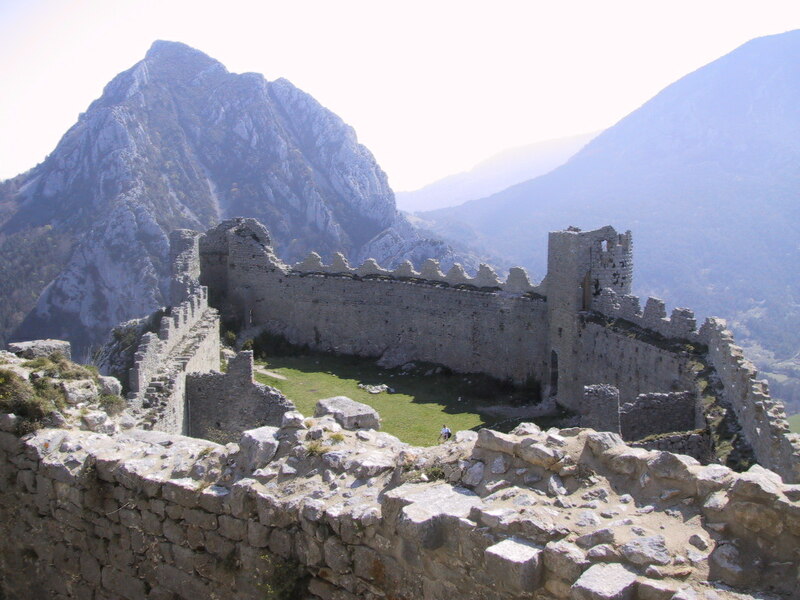 After the fall of Montsegur, Cathars took refuge here from the French. It’s Lord, Chabert de Barbaira, later turned it over to the French forces in return for his freedom. 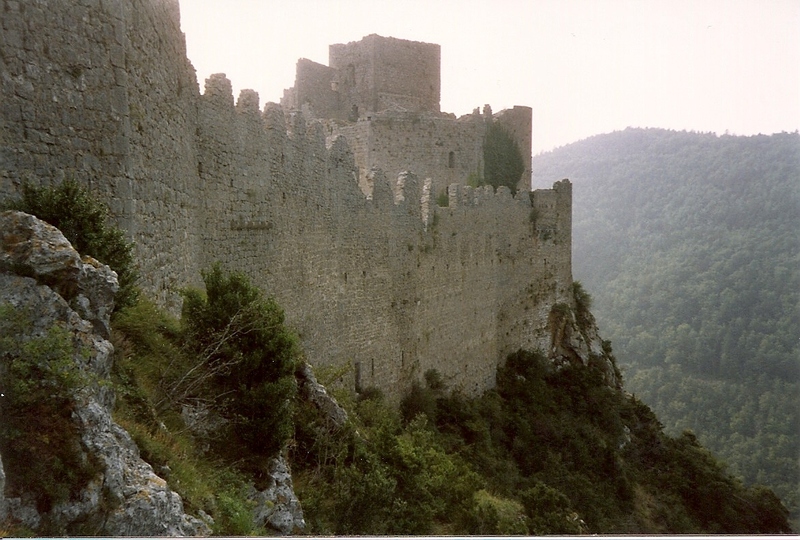 The castle subsequently played an important part in France’s border defences, and the current structure mostly dates from the French period. Occupied in 1635 by Spanish troops, Puilaurens lost all its strategic importance after the treaty of the Pyrenees in 1659 which moved the border with Spain from the Agly to the line of the crest of the Pyrenees. In the Occitan language of Languedoc, Puilaurens is: lo Castèl de Puèg-Laurenç. This entry was posted in Mountains, Photography, Travel and tagged castle, Cathar, France, Languedoc, Puilaurens by colinmathers. Bookmark the permalink.